Greg Ezell and Bree Mellen hosted the Days of Y’Orr “Optional Skate” show- that award-winning Boston Bruins blog’s flagship podcast. We were on for about an hour and focused on myriad topics- a recap of Boston’s 1st 4 picks last June: Jakub Zboril, Jake DeBrusk, Zach Senyshyn and Brandon Carlo. Against my better judgment, we also went down the road of Alex Khokhlachev…I just call it like I see it with Koko, and try to be as fair in my assessment as possible. We also talked goalies- Zane McIntyre, Malcolm Subban and Daniel Vladar. When we transitioned to the 2016 draft- talked Dante Fabbro and Charlie McAvoy, plus Kieffer Bellows and a few others like Markus Niemelainen. Erie Otters 50-goal man and mighty mite Alex DeBrincat also gets some love because he’s just a pure shooter with killer instinct despite being only 5-7, and I close out with some capology talk and why the Winnipeg Jets are going to be making some real noise in the next few years. Besides, any time I can make a Warrant “Cherry Pie” reference, it’s a good day on radio- give us that No. 1 single, Bruins! Thanks again to the DOY gang for having me on! I went back and looked at film of last night’s 2-0 preseason win for the Bruins before work this morning just to make sure I wasn’t being too hard on Boston center Alex Khokhlachev. I don’t think I was unfair, but I do want to drill down a bit and focus on what I saw last night so as to generate a more honest discussion. I don’t want this to turn into a “he’s a hater” kind of situation because Koko deserves credit for some strong play in a game where a lot of players were still shaking the rust off. I also feel like sometimes there is this echo chamber where the kid can do no wrong and a certain segment of fans can’t get past this desire for him to be on the Boston roster, regardless of whether he currently has the attributes and 200-foot game to make it work, or not so much. And, let’s be honest here- there’s only a few opinions that matter enough to influence Koko’s current situation: that of the Boston Bruins brass and coaches. So, in the spirit of debate, here is some additional analysis, and believe me- I welcome disagreement here. We’d live in a mighty boring world if everyone agreed with what everybody else had to say on a topic. And whether you think this is right, wrong or something else entirely- I appreciate you taking the time to read it. What he should sustain: The kid can play hockey. He was visibly skating hard and hustling…that deserves specific mention, because he’s always played the game with noteworthy energy and exuberance. I saw a couple of instances, especially in the first period, where his effort resulted in underrated moves at his own blue line to spring the break out by not hurrying the play and taking what was given to him. I also felt that he put in a good effort on the defensive side of the puck- he’s getting there and he deserves the opportunity to show what he can do in a lot of different situations. Koko is not a burner on the ice, but he’s got some nifty agility and a very good short-area burst, which makes him so slippery and tough to contain when he starts jitterbugging back and forth with the puck. My issue with him sometimes is that he overhandles it and in turn, passes up available space when a less is more approach might work out better. He’s quick and aggressive- you could see that last night as he was looking to transition to the attack every time he was around the puck. At the same time, he still needs to recognize when the windows of a scoring chance open up and capitalize on those. He’s one of the most creative players on the Bruins and you could see that from him last night. It didn’t pay dividends, but there were a couple of plays early on where he and Seth Griffith combined in the offensive zone on some quick developing chances. Unfortunately for Koko, hockey is a results-oriented business and he didn’t cash in. What needs improvement: As I mentioned in the recap- for all the hustle, he didn’t get a great deal accomplished last night. All of the skill and talent in the world isn’t going to get you far if you can’t find a way to break through and actually score/finish off the play. Koko obviously needs more time and opportunities to shine in Boston- but if you’re coming to the table and using his offensive abilities as the big selling point- even the most ardent supporter has to grudgingly admit that he was given the ice time last night and was unable to make that lasting impression on the score sheet. The creativity with Koko is key, but I believe he has a tendency to overthink and try things less likely to work instead of making a simple play and allowing it develop into something more dangerous. We saw it from him a few times last night when instead of dishing at the blue line when the Devils D was backing in or at least trying to move the puck as he approached the top of the circles, he held onto the puck and was forced around the back of the net where the defense was able to re-set. Koko is entering his fourth full season as a pro and I’m not sure that he’s figured out yet that sometimes playing that straight ahead game beats getting cute or trying a lower percentage play just because he can. I would like to see the B’s try Koko out with wingers who bring more speed to the mix. He and Griffith are a little similar in that they are smaller players who don’t possess the dynamic, game-breaking speed you want from guys of their style. As a result, the two sometimes have a tougher time gaining separation, and therefore have to rely on their hands and hockey IQ to make plays. A speedier linemate would allow Koko to stretch the ice more with his great passing ability and then trail the play into the offensive zone as the defense collapses back, giving him more time and space to operate where he is most dangerous. The last word: I don’t have a problem with Koko centering Boston’s bottom line, but he needs to win that position on something more than simply the argument that he’s more talented than other bottom-liners ergo- he should have the job. I know this might come as a shock to some observers out there, but there’s a lot more to building a winning team than simply plugging in the most talented players and sending them out there. I’m not trying to be facetious here- but some players are simply better suited to the demands and responsibilities of playing on the penalty killing units and garnering the tougher, more physical assignments that fourth lines typically face when matching up against opposition lower lines. Koko has a world of potential. By virtue of his offensive prowess and the fact that the B’s went out of character to draft a Russian player earlier than they had since the Yury Alexandrov experiment didn’t work out, people are excited about him. I’ve watched him enough to know that he’ll go long stretches in games without accomplishing a whole lot, but can then break things open with a memorable shift or three. Unfortunately, that has meant that he has not been able to crack the Boston lineup at center, where the club is deep and more is expected at that position than simply scoring and playing a flashy style. Will the B’s give him a chance? That is not for me to say, though if he keeps working hard and finds ways to put up points with the solid play, he’ll do more to earn a spot on the team than he will standing in front of reporters and lamenting the lack of opportunities he feels he’s not been given to date. At the same time, the team should have learned a valuable lesson about handling assets from the way things went with Ryan Spooner last year. Leadership should sit Koko down and make it clear to him that they see him as part of the solution in Boston if that is truly the case. If not, then the latest might have sped up the timetable on the next shoe to drop. Skill alone is not enough of a reason to simply grab a spot on the team, even if the video game-playing set can go out and score 50 goals with him on skating on the bottom line. It would be one thing if he was tearing it up and outplaying everyone ahead of him on the depth chart, but can anyone really argue with a straight face that he has? In fairness- it is still very early, so with six more exhibition games ahead before the start of the regular season, we shall soon see how serious Boston is about getting him into the mix and seeing if he can, in fact, win a spot on the NHL club to begin the year. Of course, in Koko’s case, that might end up being a whole lot easier said than done. I want to thank everyone who submitted questions to me for the first edition of the electronic mailbag of questions. If you want to participate in this effort that we’ll do every two weeks or so, shoot your question to my Twitter account @kluedeke29 or use the comment feature on the blog itself to make your query. As a former beer league goalie, I’ll give this one a shot. The current backup situation invites a lot of risk in my view. On paper, Jeremy Smith makes a lot of sense because of his low cap hit and the fact that the Bruins can afford to let him sit for long periods while Tuukka Rask makes a lot of starts. Smith was the most dependable option in net last year in the AHL, but that’s also the issue with him- he has no NHL experience, which essentially puts them right back to square 1 where they were a year ago when they gambled on a similarly inexperienced Niklas Svedberg to be the No. 2. Some might point to the idea that Svedberg was a serviceable player who was poorly used, but the bottom line is that Claude Julien had very little confidence in him. There are compelling statistical arguments that Svedberg wasn’t utilized properly, but be that as it may- a good backup goaltender enjoys the trust of the coach and team to spell the starter in a lot of different situations. That Julien seemed almost perversely unwilling to use Svedberg when it appeared Rask needed a break the most is beside the point if you believe that going to the well with Rask repeatedly cost the Bruins a playoff spot in 2015. Part of what helped the Bruins earn the President’s Trophy the season before had to do with backup Chad Johnson and Julien’s willingness to give him starts and ease the starter’s burden. Johnson can’t be a starter in this league, but he was an effective backup in his one season with the B’s. The question becomes- will Smith find himself in a similar predicament to Svedberg? Can the Bruins afford to have a repeat of last spring, when Rask went on a hockey-like death march of consecutive starts without rest because the head coach was not willing to put the backup in? This is the same kind of scenario the Bruins are inviting with Smith and Malcolm Subban or Zane McIntyre as well- all three are capable options on paper, but none are established NHL players- with Subban alone of the trio even having seen a minute of big league action. On Subban- I just feel he’s better off playing his way into a more prominent role in the AHL with Providence while McIntyre apprentices behind him. Heck- McIntyre might even wrest more starts away from him like Smith did a year ago, but as fine a goalie as Zane looks like coming out of college as the NCAA’s top goalie last season, he’s still in his very first pro year. Expecting him to just go right to the NHL and then have to sit behind Rask most nights is not a realistic option in my view. So- I think Smith makes the most sense as B’s backup as of July 31, but I still think the team will look to add someone with more of an NHL body of work, either as a bargain bin signing or training camp invite with the option to sign before the season if the coaches feel good about him. Who that is at this point is anyone’s guess- I thought Jason LaBarbera would be someone to fit the bill, but the best of the free agents are gone, so the team might just feel like going with Smith or one of the other kids depending on things go at camp and preseason is the best option. We’ll see, but I’m a believer that younger guys like Subban and McIntyre are best served by playing and not spending the bulk of their time opening and closing the door to the bench for their NHL teammates. We’ll see. The short answer to this question is that I don’t see Alexander Khokhlachev beating Ryan Spooner out of the 3C job anytime soon. At this point, Spooner has done a lot to earn Claude Julien’s trust as someone who has grown up a lot over the years he’s been in the organization and finally started putting the offense together when the team needed it the most. Koko needs to prove he can do the basic things the team expects of him, so until that happens, it does no real good to fret over what to do. I will say that Koko is probably better suited to transition to wing and be effective there, and if he’s going to break camp and enter the 2015-16 on the NHL roster, that’s probably his best chance to do it unless Spooner gets hurt or plays so poorly against a lights-out showing from Koko. That’s not impossible, but it is a tall order. I think Koko fell victim to the hype machine that often occurs in the internet age- he simply wasn’t ready to compete for NHL time at 18, but that didn’t stop overzealous fans and analysts like myself from being dazzled by his offensive talent and overlooking the glaring defensive deficiencies in his game. He’s come a long way since 2011, but the team tried to trade him in the past and you can’t overlook that. If he is as valuable to the Bruins as he is on Twitter to a select group of folks- he would not have been in play. It’s the old adage that says if they traded you once- they’ll do it again. It would be great for Koko to establish himself as a Bruin, but as far as trade-worthy commodities go, he’s one of the few pieces that could fetch something of value right now. Jankowski still has top-six NHL forward potential in my mind, and he was really starting to come on when Providence College needed him to. With an earlier-than-projected draft position comes high expectations, so I believe realistically, if he makes it in Calgary it will be more of a third-line center role. When you look at who is ahead of him on the depth chart, third line duty with the Flames would be a win for him and the team. I do like that there is still room for growth and development with him, even if he’s fallen short of some of the lofty goals envisioned of him three years ago with his pure points and production, which has admittedly not been what everyone was hoping for. He’ll have to continue to get stronger and play heavier if he’s going to make it in Calgary, though. Gilmour has the makings of a serviceable pro who is going to have to put in the work at the lower levels. He has good all around ability, but because he has less-than-ideal size for the position, he’ll have his work cut out for him. I personally think Gilmour is a journeyman big leaguer/solid AHL player at best, but I love it when players prove prognosticators wrong. He’s a winner, and if he uses that as a springboard to bigger things, more power to him. Barring a change, I could see the team trying big Zach Trotman there to see if it can work. He lacks experience, but showed big league ability in flashes last season and if he keeps things simple, his mobility and long reach would make for a solid defensive partner. He’s a right shot and while not a physical, snarly kind of player, with more experience and the benefit of skating next to one of the game’s all-time greats much like young Kyle McLaren did with Ray Bourque two decades ago, Trotman might be a quiet but effective internal solution to that which has vexed the Bruins since Johnny Boychuk was sent to Long Island…kind of like what happened in 2009 when Johnny Rocket came to town and established himself as an NHL defenseman when some had all but written him off. If the Bruins want to infuse more offense with Chara, then Colin Miller also makes sense there. He doesn’t have a lick of NHL experience, but he skates extremely well, would add another right-shot, howitzer cannon from the point, and seems to be a player who would thrive next to Boston’s captain, especially on the power play. He’s not as big as Trotman, and his hockey sense is a bit of a question mark right now, but Miller could be the one who takes that top pairing job if not on opening night, but perhaps as the season progresses. Assuming Miller plays for the Bruins this season (I believe he will) the Barry Pederson for Cam Neely trade will continue for Boston into a third decade as the Glen Wesley-Sergei Samsonov-Milan Lucic branch continues to bear fruit. It’s not something I’ve discussed with scouts or management types to be honest, but it makes for an intriguing topic. Ever since the league instituted cost certainty- the salary cap- in 2005, we’ve seen the game’s economic landscape evolve over several trend lines. For a while, it was long-term frontloaded deals that allowed for teams to bury or move them at short money later on. Now, it’s the dissipation of second or bridge contracts for key performers coming out of entry-level contracts or ELCs in favor of significant dollars- those used to be reserved for top tier talents, but I think we’re seeing a paradigm shift with players like Dougie Hamilton and Brandon Saad whose cap-crunched teams are either forced to move them or the player is able to leverage the lack of cap flexibility for a change of address. This drives the talk of the NHL’s middle class getting squeezed, which is becoming more and more prevalent as clubs will have bigger ticket contracts and then have to rely on cheaper ELCs or bargain basement deals with little room for the middle ground/solid veteran types who typically clock in at around $3-4M a the current (and rising) market rate. Hockey is a business- it always has been. But the days where owners and teams held the cards are long gone, so I think that teams and players/their representatives will continue to evolve with each emerging economic trend. I don’t blame Hamilton for seeking a situation he thought would be better for him, and in Saad’s case, they made a decision that they could not afford him at the going rate- that was a tough business decision that more and more teams will have to make if things continue. But, both situations have jolted teams and fans alike into the realization that you can’t simply assume restricted free agents will remain all that restricted for long depending on a team’s salary structure and how much they have invested in the veterans. At some point- you wonder if the ever-rising salaries and the kabuki dances teams go through to stay cap compliant will kill the golden goose and force a seismic sea change, but it hasn’t happened yet. The Bruins have quantity in their system for sure. The quality of the prospects is very much up for debate, however so it will be interesting to see how the 10 picks from 2015 plus the others from previous years perform and develop in the new season. I don’t know that when it comes to prospects there is ever truly an “untouchable” because if another team is willing to pay a king’s ransom for an unproven player, I believe a savvy GM will often times make that deal. Of course- that position is becoming tougher to defend for the precise reasons I explained above as economics and the importance of landing impact players on 3-year (max) ELCs becomes ever more critical for teams who want to win the Stanley Cup. It’s hard to imagine the Edmonton Oilers or Buffalo Sabres parting with either one of Connor McDavid or Jack Eichel for any offer given that reasoning, but I do believe that GMs have to at least listen and think hard about a team that comes in with high-end NHL players to offer, not the proverbial two dimes and a nickel for a shiny quarter kind of trade. In the end, the money and cap play much bigger roles than ever before. 1. Danton Heinen, LW Denver U.- I have it from several sources that the one name teams asked about repeatedly at last winter’s deadline was the 2014 fourth-rounder who finished as the NCAA’s third leading freshman scorer. He may not have ideal size or speed, but his hands and hockey sense are top-shelf. As a late bloomer, Heinen has the look and feel of a classic diamond-in-the-rough who is going to one day play very well for the Bruins, so unless a team wants to give up the moon and stars for him, don’t expect him to go anywhere. His upside will also likely drive the team to court him to come out of school earlier because ELC term and CBA loopholes will force them to act. 2. Zane McIntyre, G Providence- The B’s are all-in on this kid, and he showed loyalty to them by not exploiting free agency to get the biggest money or a better opportunity to start elsewhere. Now, folks will say there is no room for sentiment in pro sports and they’re right, but I just feel like that Bruins are sold on the soon-to-be 23-year-old’s potential, character and all-around ability. They want him to be a part of the organization, so unless a team comes in to blow their doors off with an offer, he’s as close to untouchable as you will get. Besides, unproven non-NHL goalies don’t tend to fetch enough of a return from teams to make dealing him at this point worth the effort. 3. Jakub Zboril, D Saint John- He’s the top pick, he’s signed and the Bruins think he is going to be a future top-2 defender for them. Both Don Sweeney and Scott Bradley used the word “elite” to describe his ability, so you can be sure the B’s had him higher on their list than the 13th spot where they took him. They’re not going to turn around and flip him without seeing if all that potential they’re banking on starts to pay off for them. You can almost throw Zach Senyshyn into this same category as well- they have a lot riding on him and want to prove that he was worth the risk they took by grabbing him in the top-15. It’s hard to imagine a team coming in to offer the Bruins a top-6 NHL forward for a raw prospect like Senyshyn, so they’ll sit back and see if their gut instincts about him are proven correct. Alexander Khokhlachev has presented the Boston Bruins with a key decision point. Whether the skilled Russian forward known more popularly as “Koko” establishes himself as a long-term option for the team or moves elsewhere is a situation that will likely resolve itself at some point this season. In the meantime, for a club that struggled mightily to score goals in the non-playoff 2014-15 NHL campaign, the 40th overall selection in the 2011 NHL Entry Draft certainly provides GM Don Sweeney and head coach Claude Julien with a viable option on offense if the rest of his game is deemed sufficient enough to play in Julien’s system. Koko is an NHL talent who many would argue should already have established himself in the big show by now. Whether you calk that up to a lack of opportunity (valid point) because of entrenched veterans on the NHL roster, or buy into what his coaches talked about as recently as last January by saying that the dangerous if one-dimensional Muscovite needs to round out his game, Koko is a player who needs to make his mark this season. Four full years after the B’s went out of character to grab the OHL product with the Windsor Spitfires earlier than they had drafted a Russian native since whiffing on defenseman Yury Alexandrov with the 37th overall pick in 2006, the clock may be ticking on Koko, but as Ryan Spooner demonstrated last season, he’s far from done. You might recall that after making the Bruins roster out of training camp last October after a productive training camp that also drew its share of criticism from Julien over defensive concerns, Spooner saw very little ice time before being demoted to Providence after just five scoreless games with minimal minutes on ice. 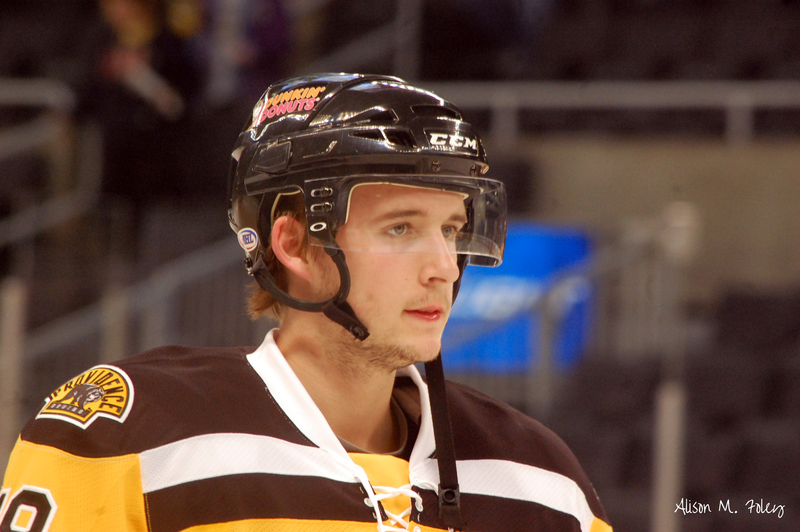 Throughout the course of the year, other forwards were summoned to Boston from the AHL, but Spooner remained in the Rhode Island capital. Through it all- while battling injuries that shelved him for weeks around Christmas with trade rumors swirling around him, Spooner didn’t sulk and insisted he wanted to make things work in Boston if the team would give him another chance. That change came late in the regular season, when veteran center David Krejci suffered another in a series of physical setbacks that essentially made it a lost year for him. Spooner came up and made the most of it, scoring his 1st NHL goal in memorable fashion- a sudden death strike against New Jersey when every point was at a premium for Boston. 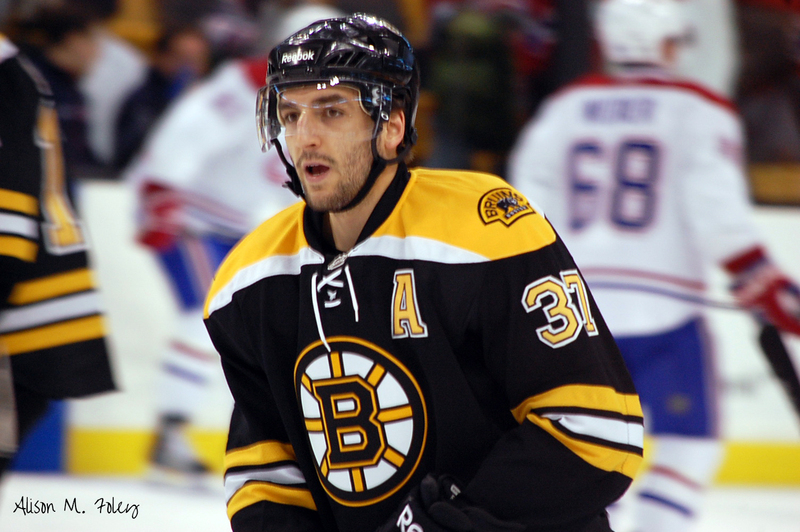 He went on to finish out the year in the NHL, scoring a respectable 8 goals and 18 points in 24 games with the Bruins. In just a matter of weeks, Spooner went from a player many (present company included) thought was fait accompli to be wearing another uniform after the NHL trade deadline, to the productive, dependable center he had been projected as when he was first drafted in 2010. Now, Spooner isn’t ever going to win a Selke Trophy, but he’s addressed his overall game enough to earn Julien’s trust, and to make it on this team, that’s critical. Koko and Spooner aren’t the same player. Spooner is faster- he pushes the offensive pace and is at his best when attacking defenses and putting them on their heels with his speed or operating from the half wall with the man advantage where he is a maestro in puck distribution. Koko is more of a shifty waterbug, compensating for a lack of dynamic wheels with high-end puck skills and a killer instinct around the net. I’ve seen him go long stretches of not accomplishing much, only to break a game open on consecutive shifts. The promise is there, and Koko’s exuberance and energy are a credit to what Boston saw in him when they called his name. Cassidy understands better than most that his young charge can break a game open in an instant. If Koko is ready to do the little things his coaches all say he was working diligently to address, then he’ll be in his corner come October to make that big jump. 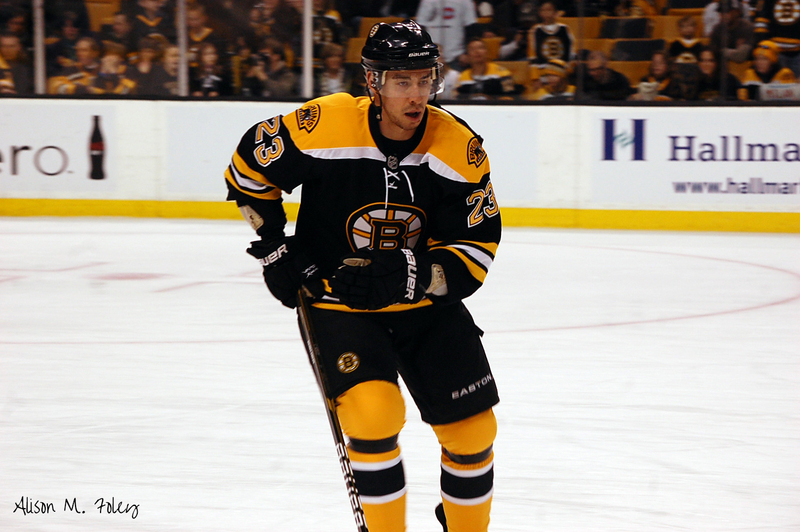 Sweeney, too, has recognized a shift in Koko’s perspective in the years he has developed within the B’s system. So, wither Koko? He has his work cut out for him at center with an expected healthy Krejci, Patrice Bergeron, Spooner and possibly Finnish free agent Joonas Kemppainen ahead of him in the pecking order because of the latter’s experience and better fit on the bottom line. Unlike Spooner, who simply could not make things work when moving to wing, Koko might be able to pull that off in Boston. He may not have any points in his 4 career NHL games, but he did fire home the winning shootout goal in a game against Columbus last year, so given an opportunity to play consistently in Boston, his 1st NHL point isn’t long in coming. The question is- can Koko break through and finally establish himself right out of the gate for the first time in his pro career. That’s something we can’t answer in late July and history is not on his side- the Bruins have tried to trade him before and if not for Jarome Iginla’s decision in 2013 to pass on Boston for the Steel City, Koko likely would have played more NHL games- with the Calgary Flames- than he has with the Bruins. But- the kid’s got game. And he is a kid- he won’t turn 22 until right before training camp. Sometimes the best moves are the ones you don’t make, and the Iginla deal falling through might have been the Hockey Gods telling the Bruins not to give up on a player whose best attribute is something sorely missing from a year ago. If Koko comes to camp crisp, then there is no reason to think that he won’t get his shot to make it in Boston.